Tane (which means “seed” in Japanese) designs heirloom quality baby clothing made of luxuriously soft organic cotton colored with low-impact dyes. The Tane Organic Knits collection boasts classic silhouettes in interchangeable tonal colors that may be handed down and treasured for generations. Each piece is as adorable as the next, and we love everything from their plush hats, and cuddly sweaters to their sweet booties. 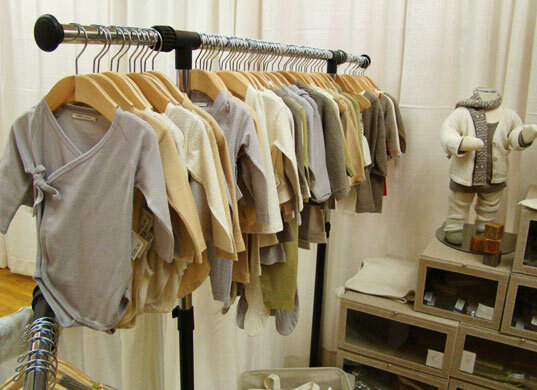 When we came across Tane Organic Knits at The Baby Show NYC, we knew we had found a new favorite line of clothing we’d love to dress our babies and tots in! Tane baby clothing is created with 100% certified organic cotton, colored with GOTS certified low impact dyes, and all fabrics and yarns are AZO dioxide free. 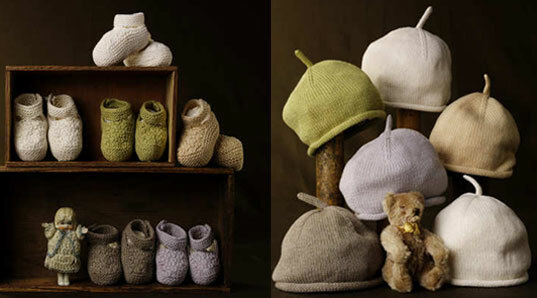 Tane assures that the Peruvian artisans making their fine baby clothing collection are paid Fair Trade wages. Their Fall/Winter 2009 collection features chic baby apparel including pants, onesies, pajamas, and tops along with some festive extras such as baby cardigans, jackets and amazingly soft socks and slippers. Don’t miss Tane’s holiday baby look book just in time for the cutest organic wearing baby pictures you’ll ever snap! Tane (which means "seed" in Japanese) designs heirloom quality baby clothing made of luxuriously soft organic cotton colored with low-impact dyes. The Tane Organic Knits collection boasts classic silhouettes in interchangeable tonal colors that may be handed down and treasured for generations. Each piece is as adorable as the next, and we love everything from their plush hats, and cuddly sweaters to their sweet booties.